Per Fox News Pastor Youcef has been taken into custody in an Iranian prison again. Please remember our brother in prayer. The Bride’s united prayer of faith delivered Bro. Youcef before, and we know that it can deliver him again! Fox News also reported that Bro. Youcef’s attorney has been imprisoned by Iranian authorities incarcerated for advocating Bro. Youcef’s case, and other human rights cases. Please remember him in prayer as well for all he has done for Bro. Youcef, and others. Brother Youcef Nadarkhani was released from prison yesterday. He will not be reruired to serve the final 30 days of his sentence. 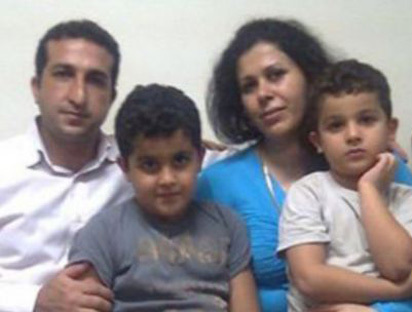 On October 12th, 2009 Pastor Youcef Nadarkhani of Rasht, Iran was taken into custody for charges of apostasy (“renouncing Islam“). He has constantly been under the threat of execution since that time. He has repeatedly been offered freedom if he will but recant his faith in Jesus Christ, but he replies,”I cannot”. February 9th, 2010 – Voice Of God Recordings began covering the story of the imprisonment of ten believers in Iran on their blog (more reports with greater detail about Brother Youcef followed as they received further information). Present Truth Ministries (founded by Brother Jason Demars of Minnesota) has covered Bro. Youcef’s story in great detail on their blog. In October of 2010 the USCIRF (U.S. Commission on International Religious Freedom) “(urged) the Obama Administration to Demand Release of Pastor Facing Execution in Iran for Apostasy“. Only recently has Bro. Youcef’s story gained high-pofile, global coverage (with detailed reports being picked up by Fox News, CNN, etc). On September 30th, 2011 Secretary of State Hillary Rodham Clinton released a brief statement on the U.S. Department Of State’s website condemning Iran for the continued violation of human rights (specifically mentioning Pastor Youcef in the following statement). Please continue to remember Bro. Youcef and his family in your prayers. I know that God is more than able to deliver him, and restore him to his family. I pray that the leadership in our nation will be instrumental in quickly restoring his freedom. Brother Frank Prater (Pastor of Eagle Lighthouse Tabernacle in Ft. Smith, Arkansas) alerted us to an urgent prayer request for little Laurie McGuire. She fell into a fire, and is not expected to live. She is only ten years old. Please remember this little girl in your prayers. I know that our God is more than able to restore her completely, and I pray that His Presence goes to her bedside now. Also please remember Daniel (Nathan) Phillips in prayer. He is the son of Brother James & Sister Betty Phillips, and the grandson of Brother Willard Collins (Pastor of the Branham Tabernacle in Jeffersonville, IN). Over fifty percent of his body was burned severely last week, and the last I heard his situation was very serious. We serve a present tense God who is more than able to come on the scene in both of these situations for His Glory & their good. “Prayer changes things“. Please remember the Stucky family in prayer during their time of loss. 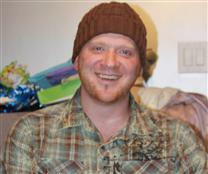 “(Kyle M. Stucky) went to be with the Lord on the morning of March 26, 2011. He was known for that cheeky grin and optimistic outlook on life. He was an incredible singer and musician. He was a diligent, gifted worker and gave his all, regardless. His family and his church family meant everything to him, but his relationship with Jesus was most important. He was also known for being half of a red-headed brother’s bond from birth – Cory’s twin. The battle is over, you’re finally free! Please be in prayer for those affected by this disaster. Please remember Sis. Claudia Quian in prayer. She is the daughter of Bro. Jefte Quian (VGR Distributor in Chile). I have had the opportunity to spend some time with Bro. Jefte on several occasions, and he is a very precious brother, and a very dear friend of my wife’s family. Bro. Jefte, and his family have suffered many hardships recently due to the major earthquake that struck their hometown, as well as the the aftermath of blackouts, violence, and aftershocks. Now doctors have diagnosed their oldest daughter (Sis. Claudia, who is only fifteen years old) with Guillain-Barre syndrome (which can cause paralysis, and respiratory failure). What started as only some pain in her spine last Friday, has quickly turned into complete paralysis from her neck down. Please remember Sis. Claudia in your prayers, as she is in desperate need of a touch from the Great Physician. We know that in our darkest of hours is when Jesus comes and calls. We are going to believe with the Quian family that these symptoms are lying vanities (Jonah 2:1-10), and we know that our God is more than able to restore our sister’s physical health. “You talk about a case of symptoms, he really had it. Why, if he looked this a way, it was the whale’s belly. If he looked that way, it was whale’s belly. Everywhere he looked was whale’s belly. There’s no one in here in that condition; I’m sure. But you know what he said? He refused to see any of it. He said, “They’re all lying vanities.” He said, “Once more will I look to Your holy temple.” That’s right. More than two hundred have been reported dead, and over thirty injured in the attacks on the small town of Dogo Nahauwa, Nigeria last weekend. “… a machete-wielding Muslim group attacked a mostly Christian town south of the city of Jos“, reports CNN.com. The attackers have been reported as being members of the Muslim Hausa-Fulani ethnic group. Nigeria is the most heavily populated country in Africa (over 150 million people). The majority of this population is made up evenly between Christians and Muslims. We don’t know if there were any Message believers in the town where the attacks took place, but please pray for the families of the Christians who lost loved ones, or have been injured during these attacks. "… earthquakes, in divers places." An earthquake registering 5.9 in magnitude shook Istanbul, Turkey this morning. Over fifty have been reported dead, and over seventy injured as a result of the quake. There have been dozens of aftershocks as high as 5.5 in magnitude. Geologists state that the quake happened near the place where two major fault lines connect. We have not received any reports of believers living in this area, but please pray for the families who have lost loved ones, and those who are injured, or have lost their homes due to this earthquake. Brother John Stemen went on to Glory today. Please keep the Stemen family, and Brother Stemen’s church in prayer during their time of loss.